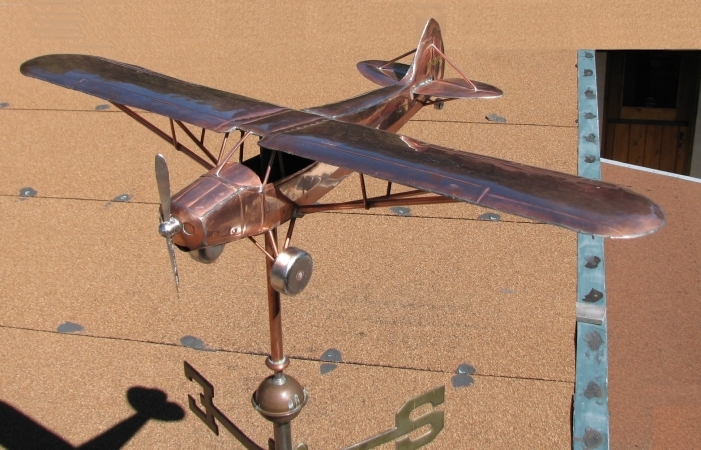 Our Piper Cub Weathervane was originally commissioned in commemoration of a man who had truly loved flying his Piper Cub. 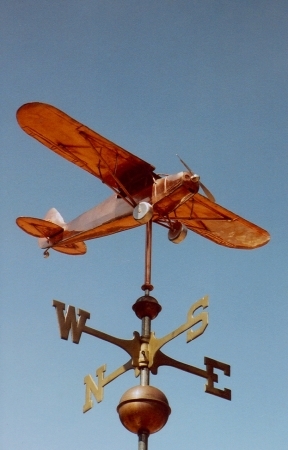 We have had numerous clients touching that tender place of remembrance with a weathervane that reminded them of their loved one’s favorite pursuits. As time passes this pleasant remembrance becomes increasingly fond. 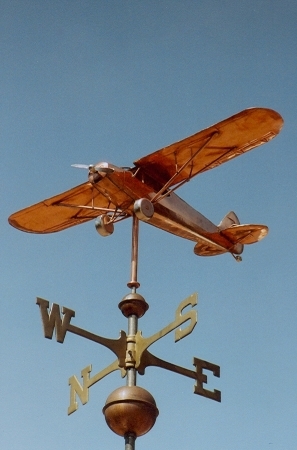 This weather vane is crafted in fully three dimensional style. 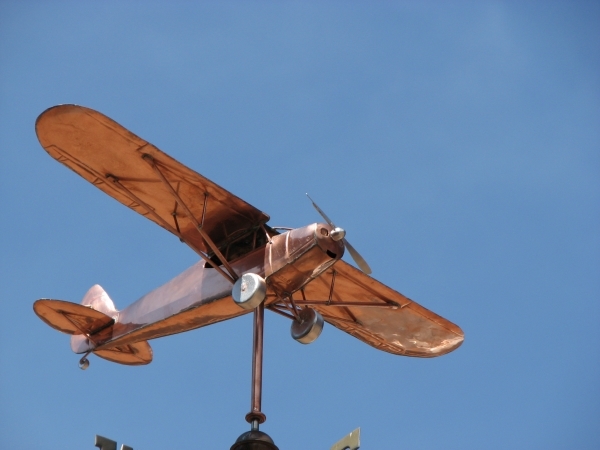 3D vanes are typically the most complex and time consuming style of weathervane to fabricate, but they are really perfect for creating replicas that look exactly right to they eye from all angles as they spin. We often work from original designs, based on true proportions, and then precisely reduce scale. Failing that, we begin from many photos, capturing as much detail as possible. 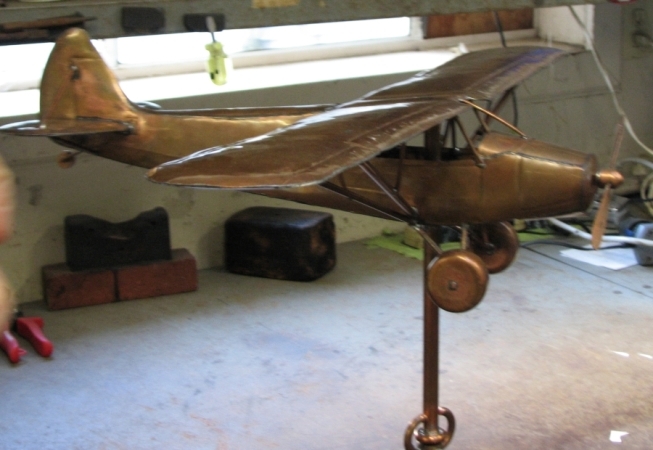 The Piper Cub pictured here has optional gilded accents with palladium leaf on the wheels and propeller, and the tail number in gold leaf. As this sculpture piece first weathers into the browns, then patinas these leafing accents will remain in bright contrast. 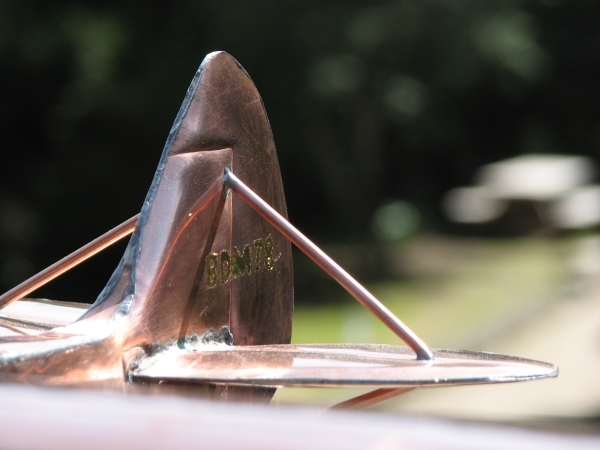 It also has an eared security device to prevent it from lifting off in a great wind. 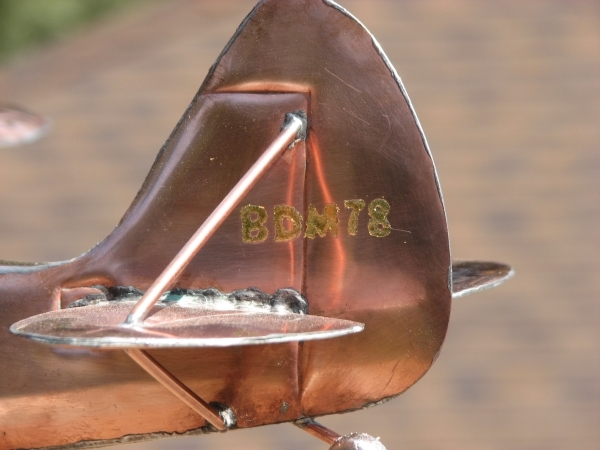 We use these security devices on a number of our vanes with winged construction. 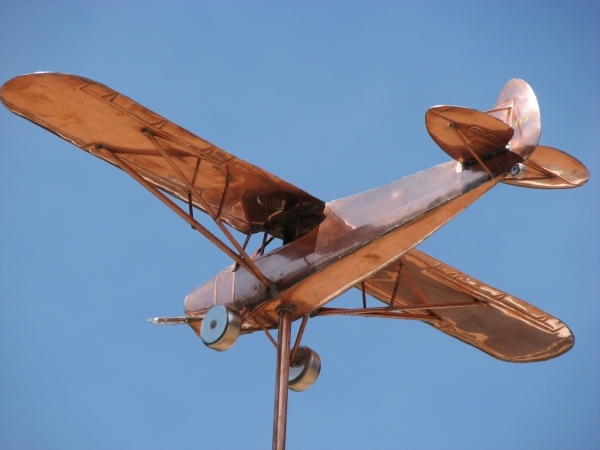 A curiosity of the Piper Cub is that when it is flown solo, the lone pilot normally occupies the rear seat to maintain balance with the fuel tank, located at the firewall. Starting with the PA-11, and some L-4s, fuel was carried in wing tanks, allowing the pilot to fly solo from the front seat. 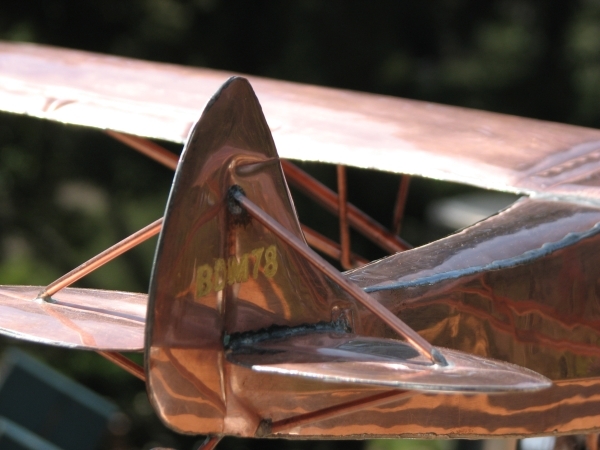 Our most experienced vane makers truly enjoy 3D replica projects. 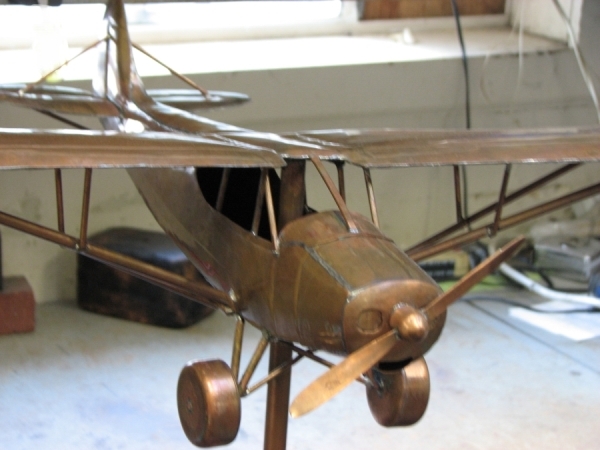 If you have a plane, train, or automobile you would like us to look into replicating, do give us a call.